The Hill People Gear Tarahumara is a unique pack in that it is very compact (about 900 cui) but has a harness system that can support loads far heavier than you can typically stuff into that small of a pack. This makes it something of a blank canvas for users and makers to develop ways to expands its capacity. 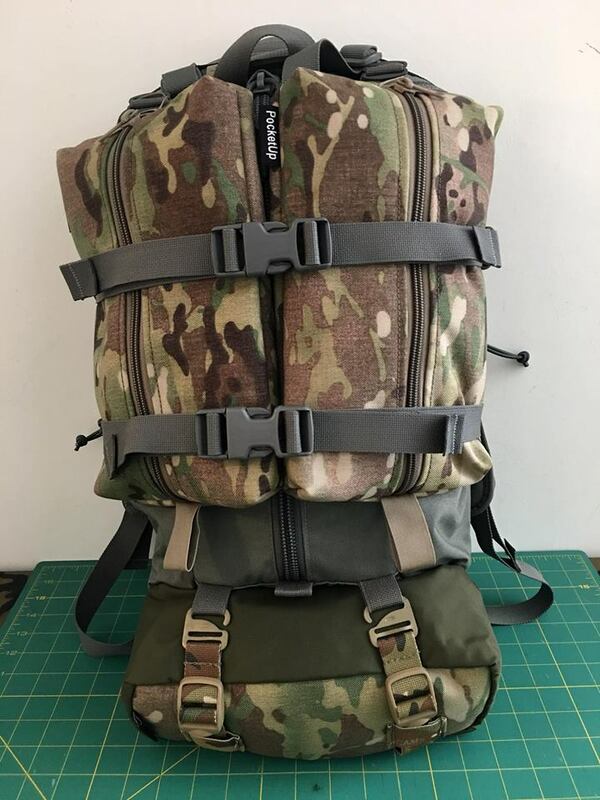 Mel Terkla of PocketUp recently showed how their pockets can be used to expand and organize the Tarahumara pack while still providing access to all compartments. Two Handy Pockets are hung from the upper tabs and compressed by the Tarahumara’s compression straps. These are PocketUp’s 1000D Handy Pockets but any of their large Handy Pockets would fit with the same proportions. 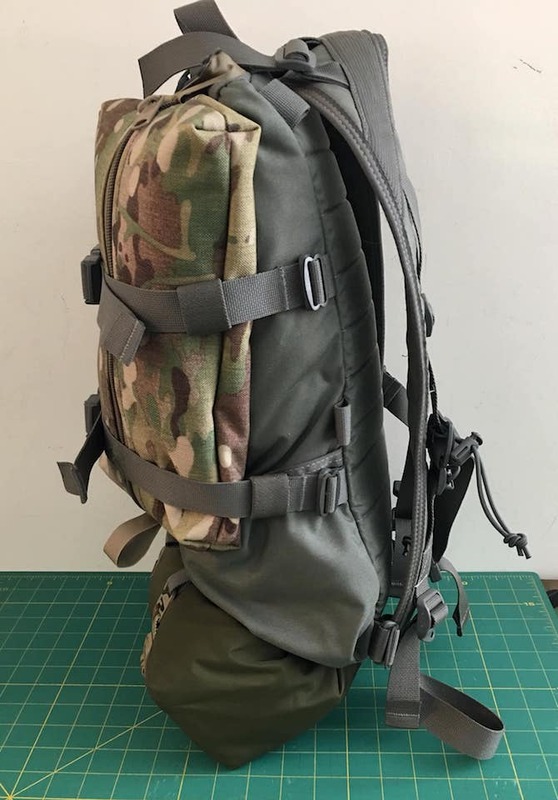 There are plenty of hardware choices that can be used to hang the pouches in this manner like ITW GrimLocs or Slick Clips. You can check out the full line of PocketUp pouches and packs at PocketUp.net.